A Birkie Trail Pass is required for each person to ski on the 100+ kilometer Birkie Trail System from December 1 through March 31. Birkie Trail Ski Passes are available for purchase in early November each year. Donations are welcome from other trail users including snow-shoers, mountain bikers, hikers, runners and Nordic walkers. Buy a Birkie Trail Pass Online! By order of the Sawyer County Board of Directors, no person may use that portion of the American Birkebeiner Trail System in Sawyer County between December 1 and March 31 unless they have purchased a Trail Pass. Sawyer County grants to the named holder of a Trail Pass a revocable temporary license to access the Trail System. Funds collected by sellers of Trail Passes are remitted to the County, which provides funds to the ABSF to maintain the Trail System. Sellers of Trail Passes act only as the agent of the County in collecting Trail Pass fees. Please note: now that we have natural snow that can be groomed, the Early Season is now over. The standard Birkie Trail Pass is now the only pass you need. This is now the only pass you need. It gives you access to the entire groomed Birkie Trail! This is a snow-making loop that is groomed and tracked before there is enough natural snow to groom the Birkie Trail. We depend on the revenue from all ski passes to make certain that the Birkie Trail system remains the No. 1 cross-country ski destination in the nation. Please make certain every skier in your family has the appropriate ski pass! All annual passes will be mailed within 10 days of purchase. Your purchase receipt will act as your pass in the meantime. Please have your annual pass displayed visibly on you at all times while skiing. 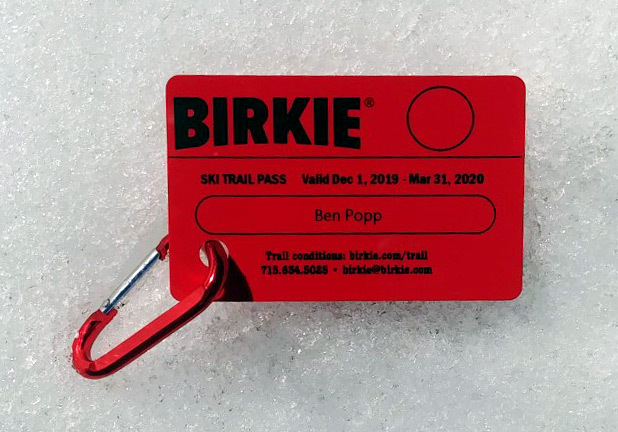 Annual passes are personalized with each skier’s name and include a carabiner, or you can upgrade to an armband for $5, as an option for wearing while skiing. At the trail heads look for the large yellow deposit tubes and wooden stands for the envelopes. Season ski passes should be purchased at one of the locations above – they are not available to purchase at the trailheads. NEW IN 2018! While the standard “Birkie Trail Pass” is required to ski on the groomed Birkie Trail from December through March, the ABSF is pleased to announce early season skiing on our first-ever, man-made snow loop at the American Birkebeiner Trailhead near Cable, WI! A separate “Early Season Snow Pass” is required to ski on the man-made snow loop. Early Season Snow Passes are required until the greater Birkie Trail opens for the season. 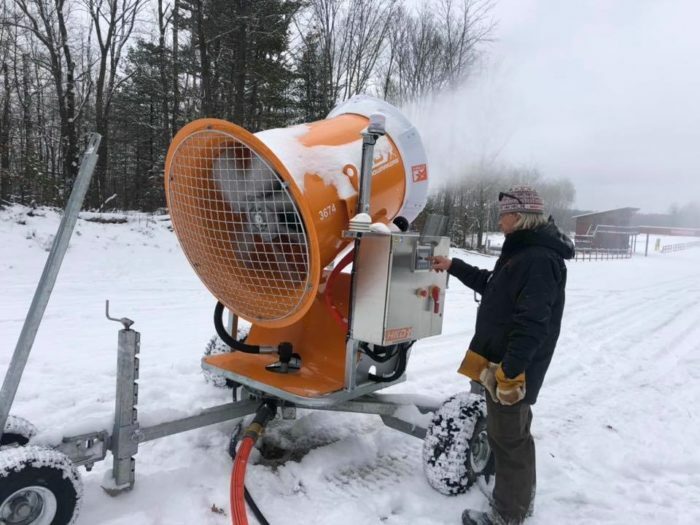 Revenue from the Early Season Snow Pass will help to offset the costs of snowmaking efforts and early trail and snow preparation at the venue.